Disney may have a notorious reputation for bad sequels that got the Direct-to-video treatment BUT they also had a few sequels that got Theatrical releases. The first one I’m going to deal with is the shortest. 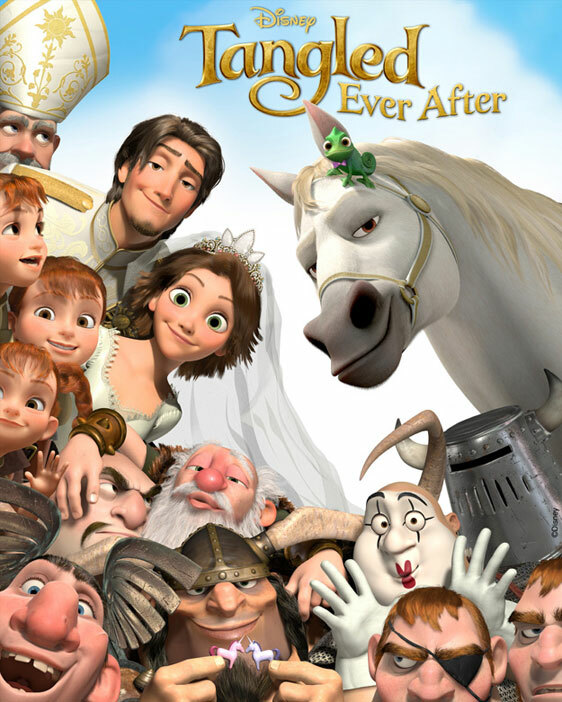 Released in 2012 following the re-release of Beauty and the Beast is the direct sequel to Tangled, Tangled Ever After . 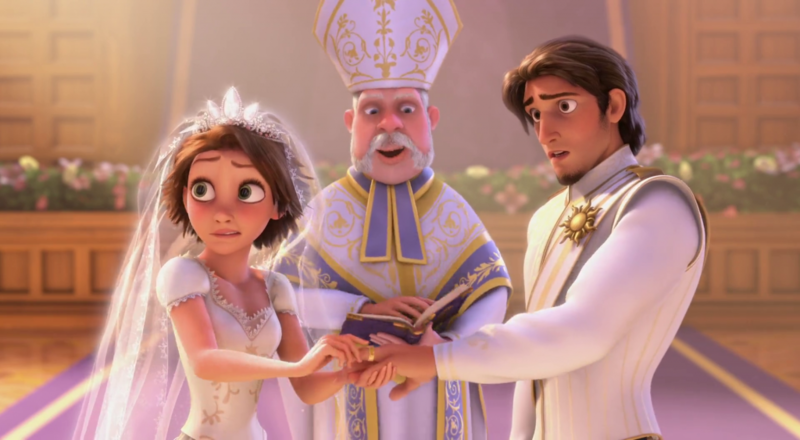 Plot is simple, Rapunzel and Eugene or Flynn, whatever you which to call him, are getting married, Yays! 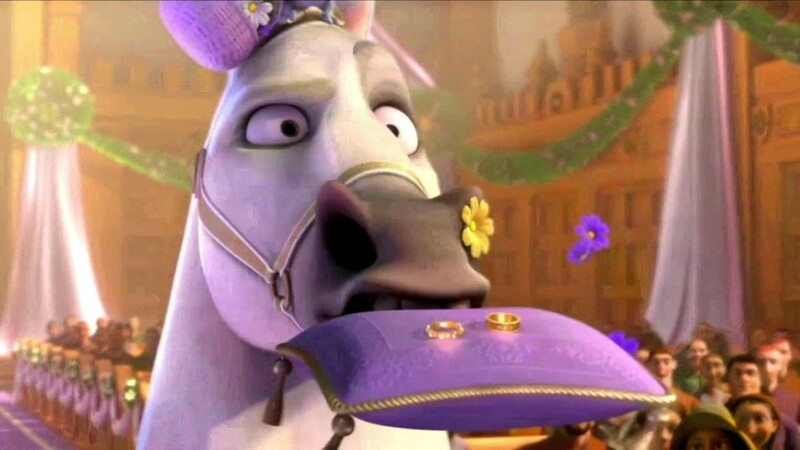 However trouble is brewing, Maximus and Pascual lose the rings during the ceremony. The rings go rolling throughout the festive city. Maximus and Pascal get into all manner of crazy obstacles. In the end they get the rings back to wedding just in time after all matter of damage to the city and getting themselves icky but unfortunately for them they lose the cake. It’s a short that gives the audience a wedding and mayhem. It’s fun and I did enjoy the peaceful wedding juxtaposed against the craziness of Pascal and Maximus. I also loved Pascal’s expression when he and Maximus presented the rings. But I did think the chaos went on a bit too long and the short is only 6 minutes. 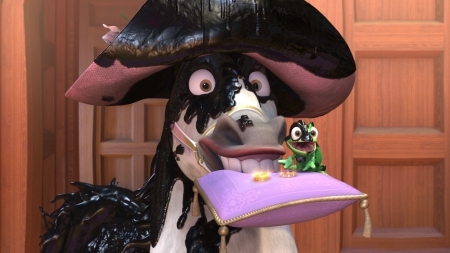 Tangled Ever After was a fun short but could have 30 seconds shorter.